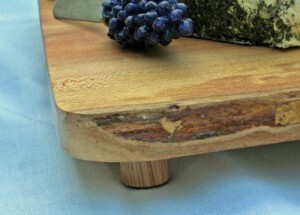 All boards and platters have 3/4” high mini-feet with felt pads and are finished with a Food Grade Safe & Kosher Certified Clear Mineral Oil and a Hand Rubbed Beeswax mixture. 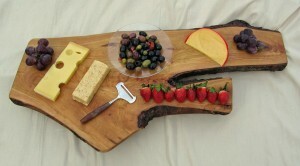 Gourmet Cheese Boards are a delectable display of imported and domestic cheeses. Offered with a variety of dried and fresh fruit, smokehouse almonds, crackers and breadsticks. Keeping it to yourself or sharing it with family or friends, as a snack, or for lunch or dinner, cheeses are an essential indulgence. Grooves cut into the surface ensure that any juices do not run off. Ideal for the summer barbecue time. Serve individual steaks on smaller boards. For canapés and finger foods such as bruschetta, cheeses, grapes, crackers, and dips. Crudités, like sliced or whole raw vegetables which may include celery sticks, carrot sticks, bell pepper strips, broccoli, cauliflower, asparagus spears, olives, which can be dipped in a vinaigrette or other dipping sauce. Average dimensions 30” wide x 14” deepCustomize with a mix-and-match potential, include a showy array of colours, textures and flavors. Cheese & Parties go together. Cheeses have become conversation pieces. When there's a platter of various exquisite cheeses, people love to experiment with delight and tell you about their favourites. 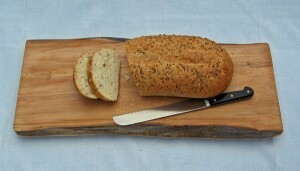 Treat your family and guests to a board of delicious freshly sliced bread. Crusty bread chunks can be dipped into a bowl of herbed olive oil placed next to the bread. Drops of oil are even good for the board. “Charcuterie” (French for cooked meat) is a platter of fine cooked and dry-cured meats, sausages and pate with various acidic and savoury garnishes that are served as appetizers. 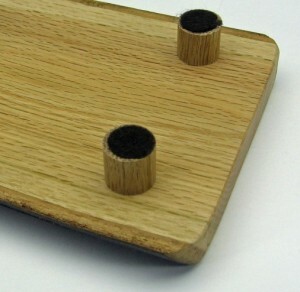 Your choice of seafood with dip, or a whole smoked salmon or trout can be elegantly served on this board.